Joseph Kanaaba has 11 years of leadership experience in the youth development sector as Executive Director of Youth Alive Uganda. He believes in molding young men and women to take up key positions of leadership and responsibility. He has been able to build a robust and vibrant youthful team of professionals at Youth Alive by mentoring fresh undergraduates to positions of leadership. As former Banker and Investment Advisor, he brings to the youth development sector a wealth of knowledge and experience in financial management and business development. He is passionate about helping youth especially adolescent mothers to get a start in life by developing the skills of business enterprise through the acquisition of financial literacy knowledge and being linked to financial services and markets. 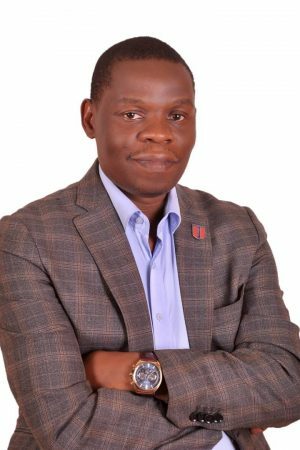 Joseph has a Master of Arts in Leadership from the Thierry Leadership School, Belgium and a Master of Arts in Entrepreneurship 4Impact from Uganda Martyrs University, Nkozi and UnversitaCattolica del SacroCuore, Milan. Mr. James Byarugaba is passionate about seeing children and young people live their lives to the full and he has committed the last 14 years working with Youth Alive Uganda. He is skilled in project design, planning, implementation and business development. He is also a Man up delegate a global coalition of young people across the world to end sexual and gender-based violence and is so passionate about promoting gender equality as well as preventing sexual and gender-based violence. His vision is to see one world where boys and girls; men and women have the same opportunities and are empowered to contribute equally in shaping the world they want and a violence-free world where no human being owns the other or insights harm based on one’s gender. 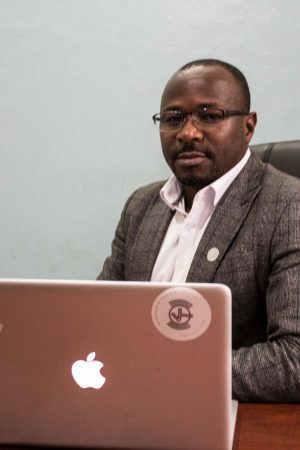 He holds a Masters in Human Rights from Makerere University Uganda and currently doing a second Masters in International Development from the National University of Ireland-Maynooth. Rosette is an accomplished M&E Practitioner with 10 years experience in Monitoring, Evaluation, Research and Learning. 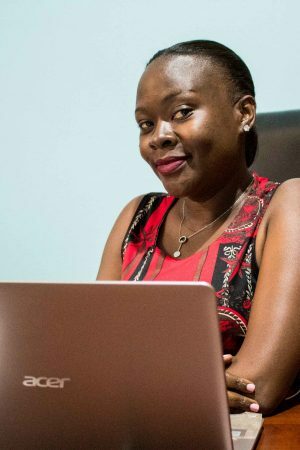 Her focus overtime has been: setting up M&E systems; Research, Data management; Results & knowledge management, Performance-based financing, Reporting and Documentation. She has experience in Health, Food Security, Agriculture, Education, Governance, Health Systems Strengthening, Gender and Youth programming with USAID and DFID funded programs. She holds a Masters in Monitoring and Evaluation from Uganda Management Institute.